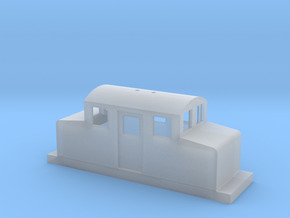 A simple waterline model at 1:148 scale of an early to mid-twentieth century steam tug designed for my N6.5 / NN3 layout. 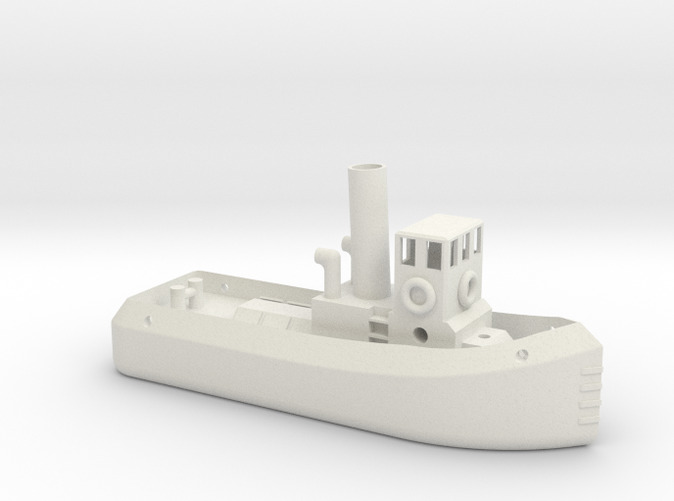 It is based very loosely on the TID class tug built in the UK in numbers during WW2. 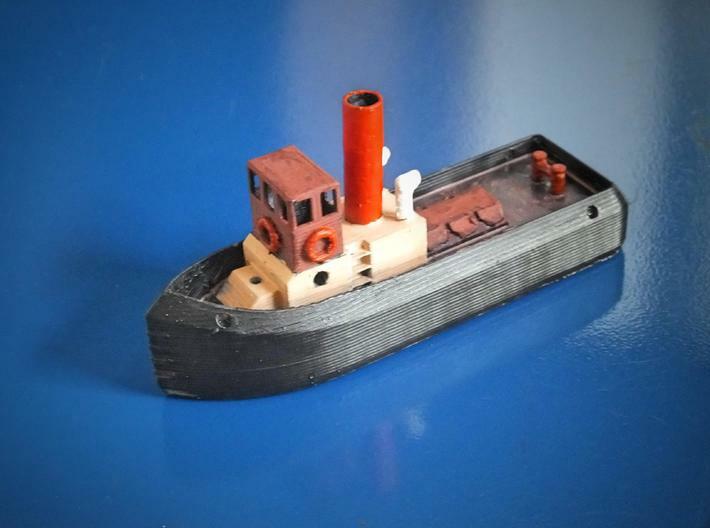 As with my pleasure steamer and puffer, this has been prototyped in PLA on my home printer, and I will try to upload a photograph in due course. 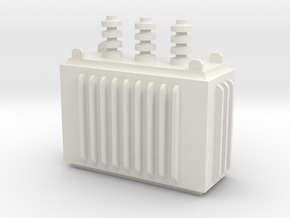 A socket is provided to step a foremast. 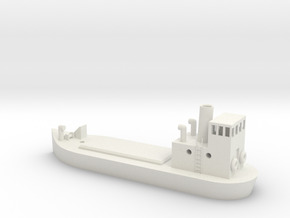 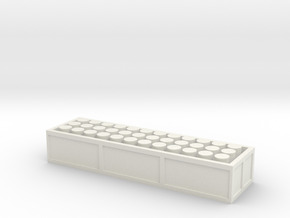 Though the size currently makes it a little pricey even in NVP, it is offered on Shapeways as once again I could not identify this style of vessel at this scale in the list of available products.